Spoilers ahead for "Winterfall," episode 1 of Game of Thrones season 8. 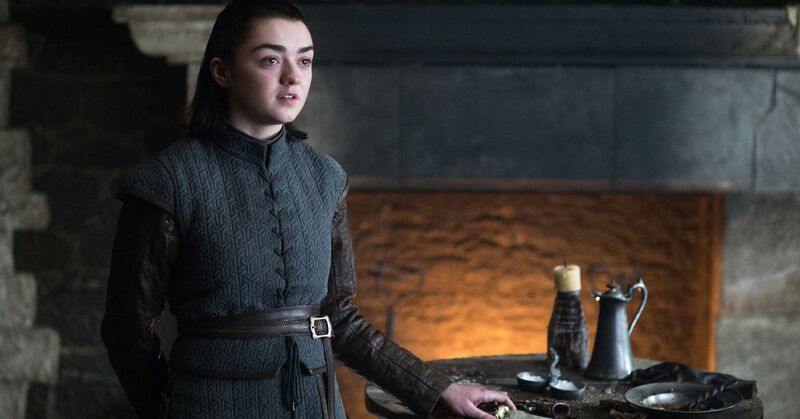 In Game of Thrones 'season 8 premiere, Arya Stark reunites with her crush , Gendry, who's also a blacksmith, and asks him to make her a mysterious new weapon. 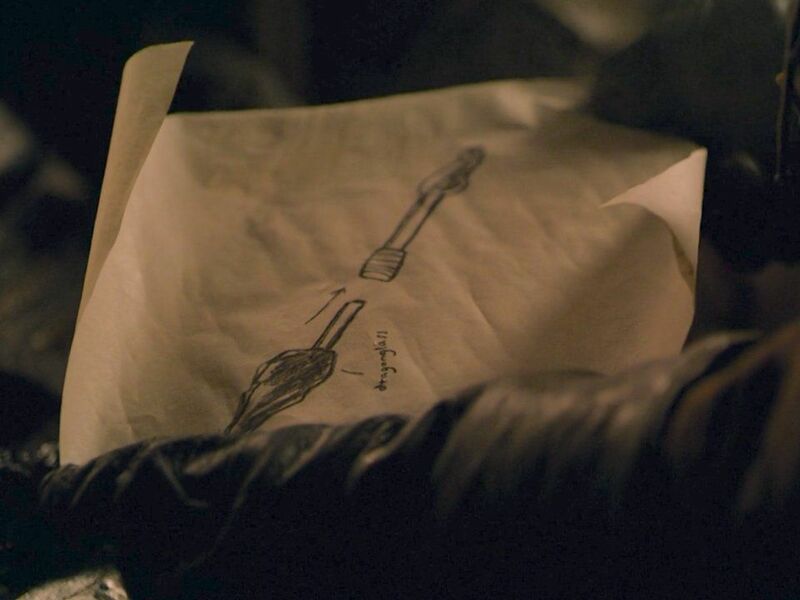 We only get a quick look at a design she's drawn, but there are a few clues from Arya's past about what the weapon could be.
. That weapon has served here in the water dance sword fighting style, where she has to be agile and quick. But as she reminds Jon in "Winterfell," it's not made of Valyrian steel, so it'd be useless against the undead White Walkers coming from the north. Presumably, the new weapon Arya is commissioning from Gendry will help her face off against White Walkers from a safer distance, rather than having to get close to stab them with her Valyrian dagger. We can see from the schematics that part of the weapon is made of dragonglass, a material that kills White Walkers and wights. It also looks like the dragonglass part is detachable and can be fitted inside a longer staff-like weapon, either with a hilt on the other end, or another stabby part. We also know from Arya's training in seasons 5 and 6 that she is skilled with a staff and with switching between weapons, as she does with Brienne of Tarth in season 7, with both Needle and her dagger. So the new weapon she's ordering could combine a staff and a dagger, to take full advantage of Arya's training from different sources. And it suggests a weapon that can change states during combat, in order to invite more creative fight choreography. She's smart to gear up. Hopefully, she's not the only one who gets a new White Walker-fighting weapon this season. Jon brought home stores of dragonglass from Dragonstone last season, so there should be plenty of material to go around in crafting creative weapons against the undead.